My crafty stuff: Etsy #22, Basic Grey and InStyle stamps! Etsy #22, Basic Grey and InStyle stamps! This card is my ALL TIME FAVORITE that I have made so far! I love how it came together! LOVE the colors and how they all worked together too! I made this one for the Basic Grey challenge this week. 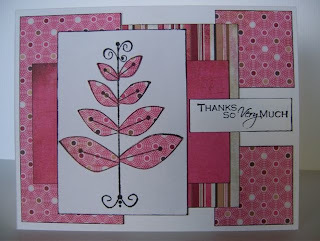 I just got the BG Bittersweet paper pack in the mail in the past week and have loved using it! It is for challenge #20, Follow the sketch. Obviously I loved the sketch because I used it for the Etsy challenge this week too! 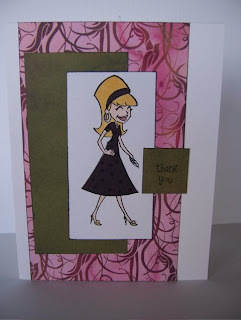 This last card is for the InStyle stamps Thankful Thursday sketch. I used Pam (without Buster this time) and colored her with copics. I paper pieced her dress and her headband. I used the Basic Grey Eva paper for this card. All your cards are beautiful! 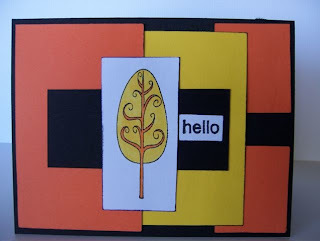 I really love the colors and the tree on your EtsyInspired card! Very cute! I need to try that layout, it looks like a lot of fun! Thanks for playing my challenge! It means a lot to me! Ok, that is now also my favorite card you have EVER made! It did totally come together perfectly. WOW, I miss checking your blog for a couple of days and you go crazy! So many cards! I LOVE the pink one with the tree, amazing! GREAT cards! I love the Basic Grey one! 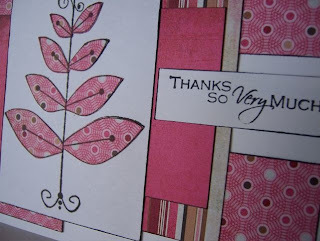 Keep an eye out on my blog for some In-Style stamps projects and news. Wonderful cards. Love the 'tree' and the take on the sketch. Thanks for joining us at Basic Grey this week. Wonderful cards. The tree is fantastic and love your take on the sketch. Great papers too! Thanks for joining us at Basic Grey challenges this week.